While the title of this blog post might make for a good children’s story or even campfire story, the truth about what might be lurking in your attic could be very frightening, not to mention dangerous. If you hear noises in your attic at night, there’s a very good chance that you have some type of pest rattling around up there rather than Casper or some other friendly ghost! You can hear a number of different types of sounds coming from the attic. The type of creature tramping around your attic differs depending on what you hear and how frequently you hear it. Let’s look at some of the common sounds. Certain types of creatures tend to be more active at night. Because they are more active, it means that you will hear them in your attic as they move around. If you hear loud thumping, chances are that it is some type of larger animal up there. It could be a raccoon or a possum, for example. They have relatively heavy bodies, and as they move around they may make some noise. Scratching sounds, while they could be from raccoons and possums, could also be from other, smaller pests. Mice and rats also tend to be more active in the nighttime hours, and you can often hear them scurrying along the attic and even in the walls. If you hear something that sounds like a vocalization of some sort at night, it could be a raccoon. Other creatures can make sounds, such as bats, but the larger animals are often much easier to hear. Some of the other types of creatures that could live in your attic, even though they may not make any nighttime sounds, include birds, squirrels, and snakes. Just because you hear one of these sounds, it does not necessarily mean that you have one of these types of critters up in the attic. It could be any number of other animals in the Bakersfield area. Some are more active in the day and some are more active at night. What it does mean is that you should get in touch with a pest control company as soon as possible. First, let’s cover what you should not do. Do not attempt to remove a wild animal on your own. They can be dangerous, and when they are in fear – as they will be when you approach them – they can bite or claw you. You want to let the experts handle the inspection and the removal of any type of pest on your property. It is safer for you, as well as for the animal in question, when you let the experts handle it. Let the experts come to your house and make the determination of what errant little creature decided to make a home on your property. Once the creature is out of the property, make sure you take measures to prevent any other animals from making their way into your attic. A good Bakersfield pest control company will not only get rid of the pest. They will also close the most likely entryway to your attic. One pest control company located in Bakersfield and Ventura County that can handle pest control in your attic and patching up potential entry points for pests is Hubble Termite. No one likes nasty surprises that lead to spending money on expensive repairs. However, experienced homeowners know that it is just part of being a property owner. One of those issues that can be quite expensive, is dry rot. The cost of dry rot repair can be quite small or astronomical depending on how extensive is the damage. In some cases, where the dry rot is severe, the entire home or commercial building might be beyond repair. No one likes to think about this happening, but it is a frightening possibility. Dry rot in wood is caused by moisture and fungi which basically makes the wood hollow. Termites also work in a similar way in that they eat the wood and make tunnels in the wood. Whether you are dealing with dry rot or termites you will need help to deal with the aftermath and the damage. Of course, the best way to deal with the problem is by taking preventative action before it ever happens. Take the following tips and implement them right now as a means to prevent dry rot in your own home or commercial building. One of the best and easiest tips is to make sure that you have your wood sealed properly. Having a good coat of paint on areas of the wood exposed to direct weather helps to prevent moisture from getting into the wood and starting the rot. Make sure there is no area in your home where water settles onto any wood and stands. These water traps are trouble. Be sure the home has plenty of ventilation, as well, to help ensure any moist areas are able to dry. Allowing for airflow can make a real difference. For example, make sure the wood does not have direct contact with the ground, including cement and masonry work. Another option, if you are just now building, is to use rot resistant wood. Some good options include teak, red cedar, and cypress. However, many people already have a home, and they have to deal with the wood that was used to build it. It is also a good idea to inspect your home from time to time, so you can look for signs of dry rot, as well as signs of termite infestation. 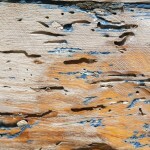 Termites can damage wood quickly, so an inspection at least once a year is a good idea. Since most people are not experts when it comes to termites, make sure you have a professional who can come to the property and complete the inspection for you. They will let you know if you do have a termite problem as well as what you can do about that problem to help save your home from further damage. Even though you might spend money now on dealing with a termite problem and making sure the wood in your house is not subject to rotting, it is less than what you would pay if a significant portion of your home was affected by dry rot. The price of preventative maintenance is an investment you should certainly be willing to make. Fortunately for our customers at Hubble Termite we are Bakersfield and Camarillo experts at dry rot repair and termite damage. Our long term experience happens to be in construction, so we know wood and what to do if repair is required. Do you worry about termites in Bakersfield, Ventura County or any California city? If you have a property made of wood, then at some point there is a very real possibility that the dastardly little pests could be making their way toward your building. Of course, knowing whether you have termites may not be easy, especially in the early days of an infestation. Once the termites have a good hold of your property though, it becomes painfully obvious. The next step is to make sure that you have someone come in to take care of those termites as early as possible. So, how do you know if you have termites on your property? It is important for any property owner to have a basic understanding of just what they should look for when it comes to termites. They leave certain signs that can point to their infestation. A colony could eat up to a pound of wood in a single day, and this makes it possible to pinpoint whether you have an infestation or not. Here are some of the signs that you will want to keep looking for on your property. 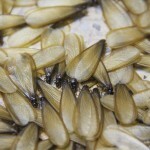 Swarms are a relatively easy way to know if you have these pests. Seeing actual termites swarm around your property, or your neighbor’s property, is an indicator that they could already be invading. However, many people mistake the termites for flying ants, as many of them flying together do look like flying ants. Termite tubes are the ways that termites will travel through the ground. They travel underground to help keep them safe from predators and the environment. These tubes, sometimes called mud tubes, are only about the thickness of a straw. Sometimes they might be slightly larger. 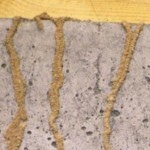 If you notice these “vein-like” structures on your property, such as on your lawn, yard, or around the foundation of the property, there is a chance that you could have termites. Another one of the signs your home might have termites is actually having damaged wood. Most of the time, this means that the infestation is already quite severe and that the property could have a substantial amount of damage. This is a nightmare for any homeowner, as it means repairs and reconstruction of the property in order to make it safe and to get it into a livable condition again. This is why it is so important to have regular inspections. Catching the problem sooner rather than later is always a good idea. If you feel that you might have a problem with termites from your own investigation, or if you just aren’t sure, you don’t want to risk it! Instead of sitting up late at night and hoping that you don’t have termites, you need to take steps to get an inspection right now. Hubble Termite can come to your property and make an inspection to identify the extent of termite damage. If it turns out that you do have termites, we can help you with that problem as well. We are pleased to announce that Hubble Termite will be publishing a blog every month for the benefit of our customers and website visitors. Why are we doing a blog? First of all we believe our customers and visitors deserve to be educated and to get their questions answered about pests in their home or business. We have been working in the home pest control industry for a long time and we know bugs and critters. We also have enough pest control experience in Bakersfield to be able to predict what the next season will bring in terms of those bugs and critters. We want to answer questions that are common in our community about pests. We have stories and we have facts and we are up to date on the latest methods of getting rid of pests. Many of our articles will help you learn about how and why those pests come around. They could also help you be pest free and some will save you money as those pests will not be around to damage your property. This will also be a forum for visitors to comment about our blog articles. Ask questions. Offer your own remedies and let us know what other topics you would like us to discuss. Our blog has a place where you can offer your comments. Just fill in the comment section and we will publish it as long as it does not use violate our usage policy. We will try to answer most questions by topic, but if we have several similar questions we will do it with one post.